As a futuristic science fiction series, Mass Effect focuses on humanity's relationship with the other sentient races in the Milky Way galaxy. The initial game takes place in the year 2183, 35 years after humans have discovered technology left behind on Mars that allowed them to unlock the knowledge of travelling faster than the speed of light. While humanity's first encounter with an alien race didn't start off on the right foot, they quickly impressed the other races and earned a special embassy on the Citadel, a massive space station located in deep space. The initial Mass Effect trilogy focuses on Commander Shepard, an esteemed war hero who has been selected as the first human Spectre -- an elite, Citadel-appointed soldier ungoverned by law to preserve galactic stability. As a Spectre, Shepard's mission is to protect the galaxy from the synthetic-organic lifeforms known as Reapers. The Reapers are utterly destroying all sentient, organic life as they come in contact with it and Shepard must stop their invasion before all is lost. While the Mass Effect series plays from humanity's point of view, there are three other races of major importance: the turians, the asari and the solarians. Characters from all three races and more join Shepard on her mission across the galaxy. Introduced in Mass Effect 2, Omega is a remote space station located on an asteroid that had been previously hollowed out from mining operations. Without a government to keep order, Omega has become home to various gangs, outlaws, mercenaries and just about anyone who doesn't fit into normal civilized colonies. Although there is no elected government, the ruthless asari Aria T'Loak has claimed leadership over the station and will do anything to protect both the station and her position. In Mass Effect 3, the space station became the setting for the Omega DLC. In this story, Commander Shepard ventures to Omega alone at the request of Aria. Cerberus, a human extremist group who care only for furthering humanity's dominance throughout the galaxy, have taken the space station as their own and Aria wants Shepard's help in reclaiming it. In exchange, Aria will give Shepard resources to help in the battle against the Reapers. 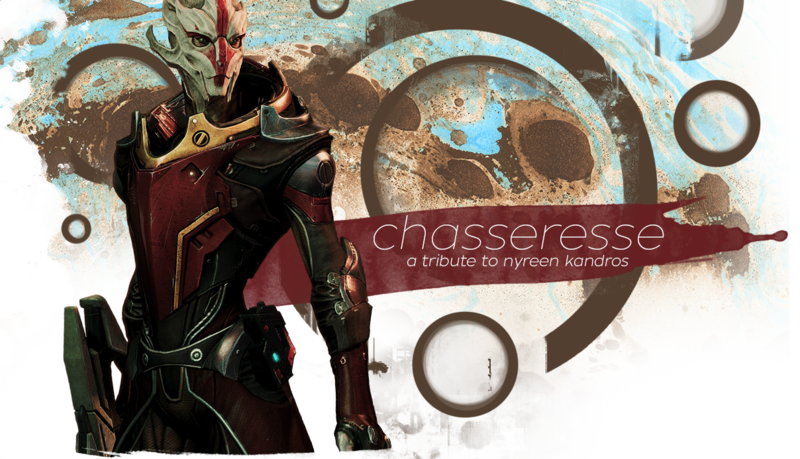 Shepard agrees and as they fight against Cerberus' incursion, they meet Nyreen, a mysterious turian who appears to have some history with Aria.